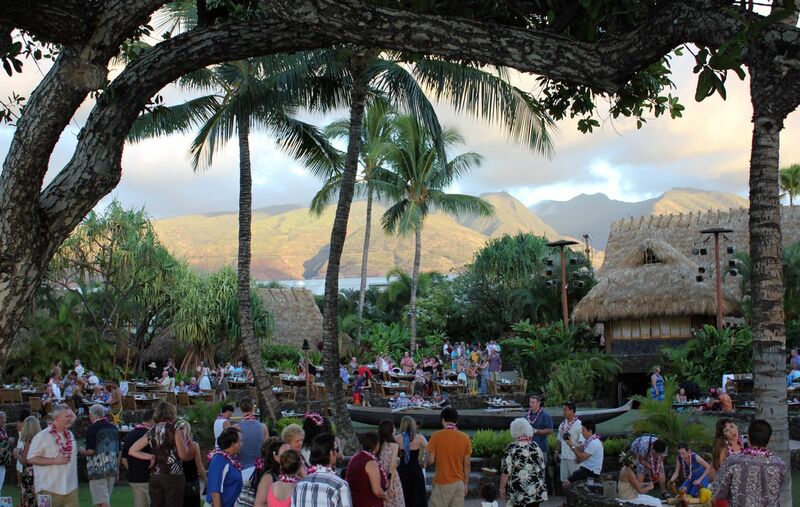 If you visit Hawaii, you absolutely have to go to a luau. It’s practically compulsory. 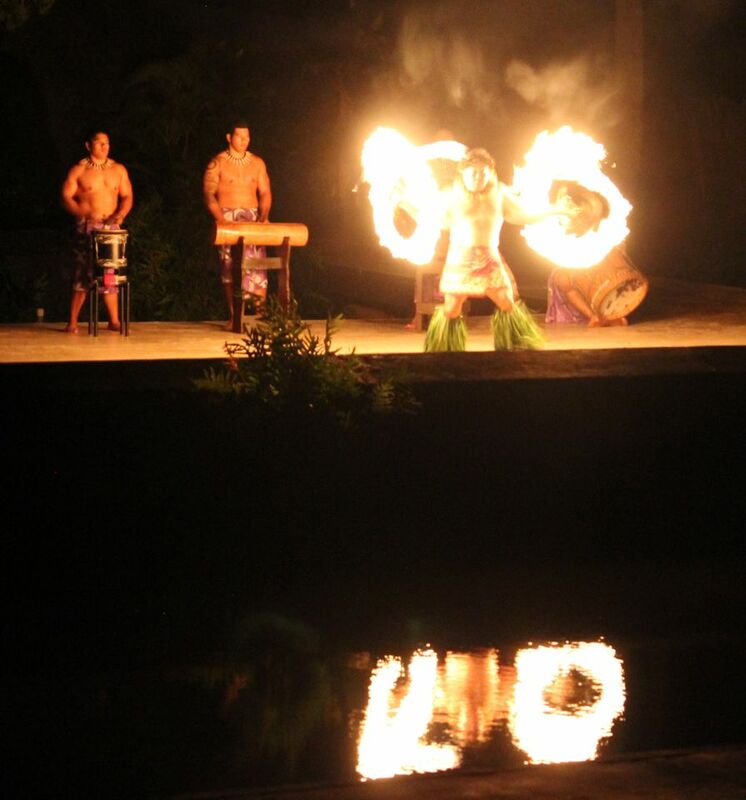 In case you don’t know, a luau is a traditional Hawaiian feast, usually accompanied by entertainment. 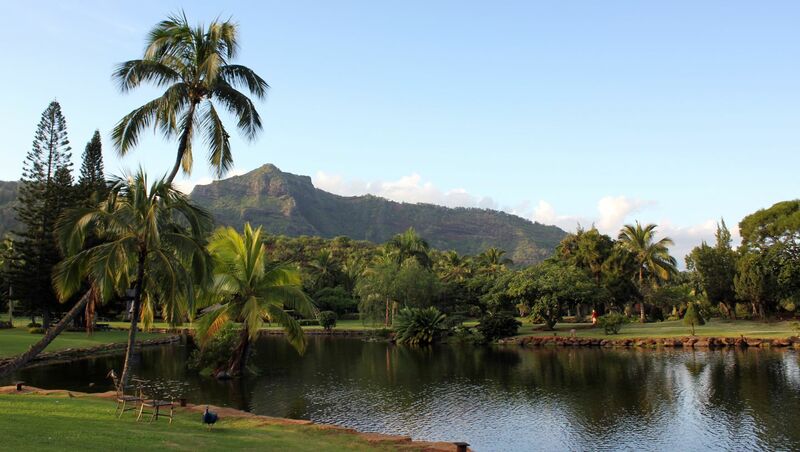 So you get food, music, hula dancing and Hawaiian hospitality. What’s not to enjoy? 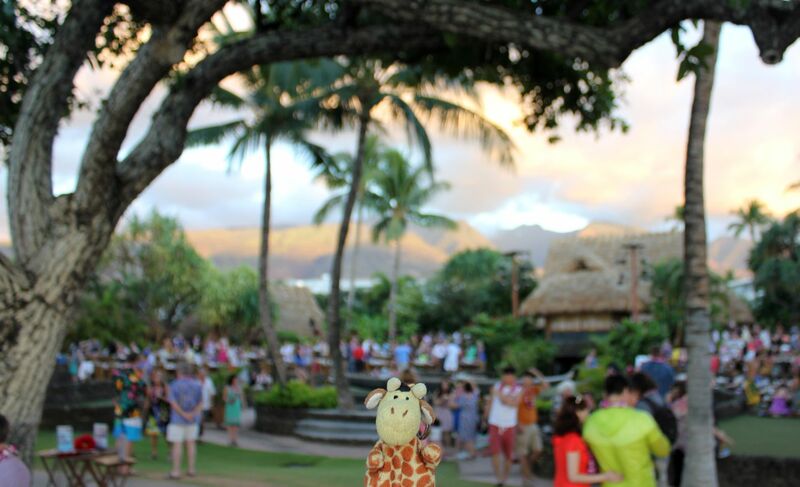 And I was particularly lucky, because during my time in Hawaii I went to not one luau, but two. 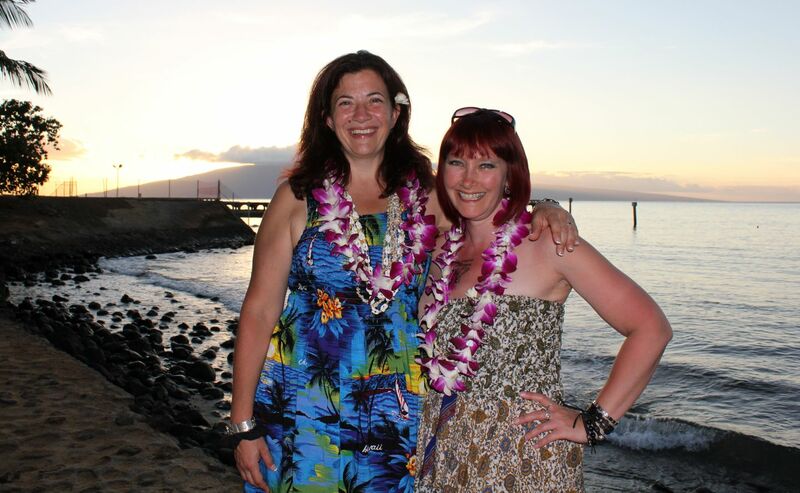 It just so happened that it was Sue’s birthday during our time on Kauai, the first Hawaiian island we visited. 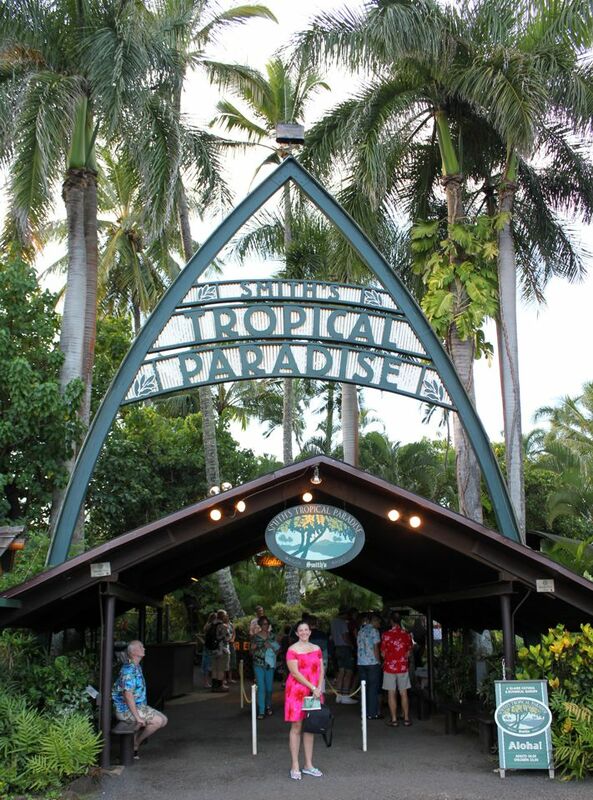 And as a birthday surprise, Rich took us all to the Smith Family Garden Luau, at Smith’s Tropical Paradise in the Wailua River Valley. After our arrival we had time to take a wander around the beautiful gardens, in their stunning setting. Then it was time to dig up dinner. Literally! 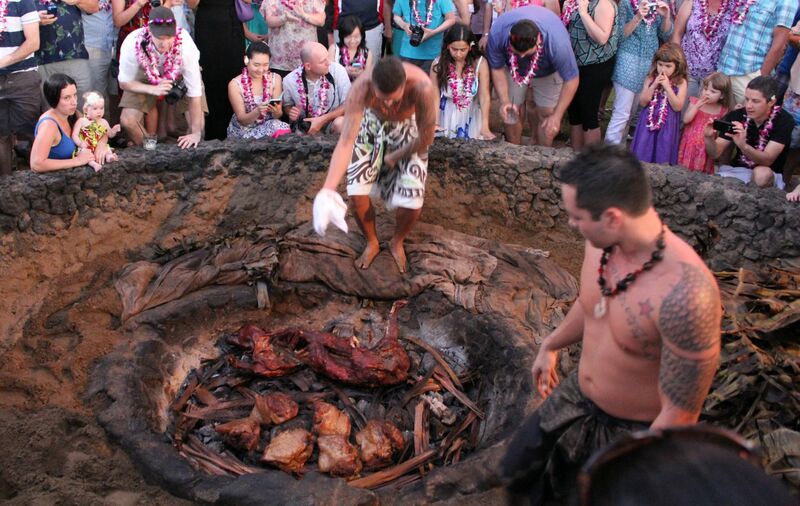 A feature of the more traditional luaus is a whole pig roasted in an imu oven, which is basically a hole in the ground. 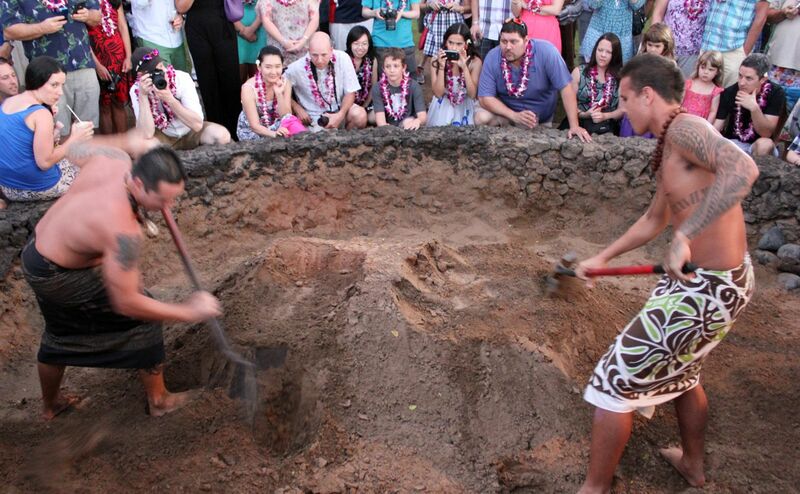 The smells that wafted out of the pit as the mound of sand covering the pig was being removed were amazing. Although I think I’ll give the poi (a purple-coloured paste made by mashing the root of the taro plant) a miss in future. 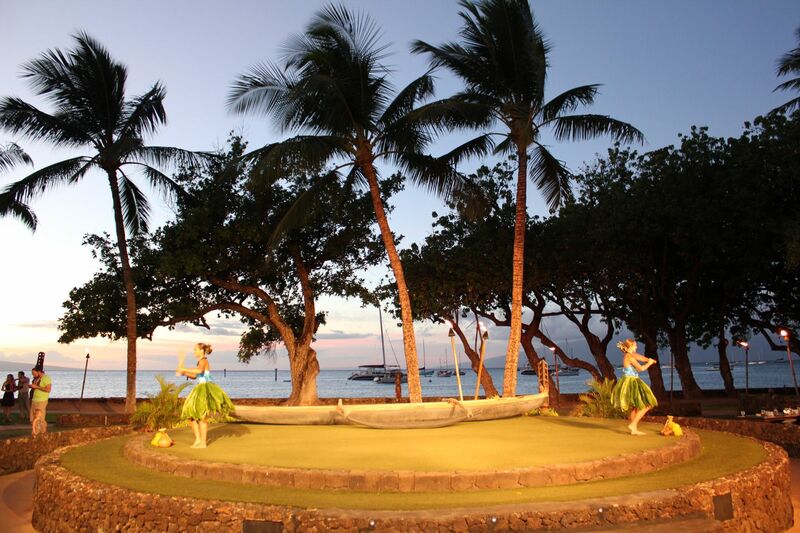 During our buffet meal, served in a specially built pavilion, we were taught all about the traditional Hawaiian dance, the hula. Then, after eating our fill, we relocated to the stage area. 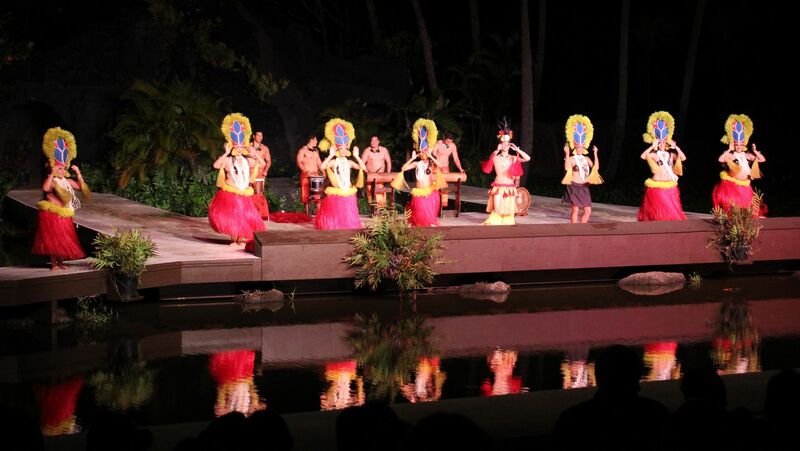 There we enjoyed a pageant of the various Pacific peoples who have made Hawaii their home over the centuries. The show ends as it began, with more fire! 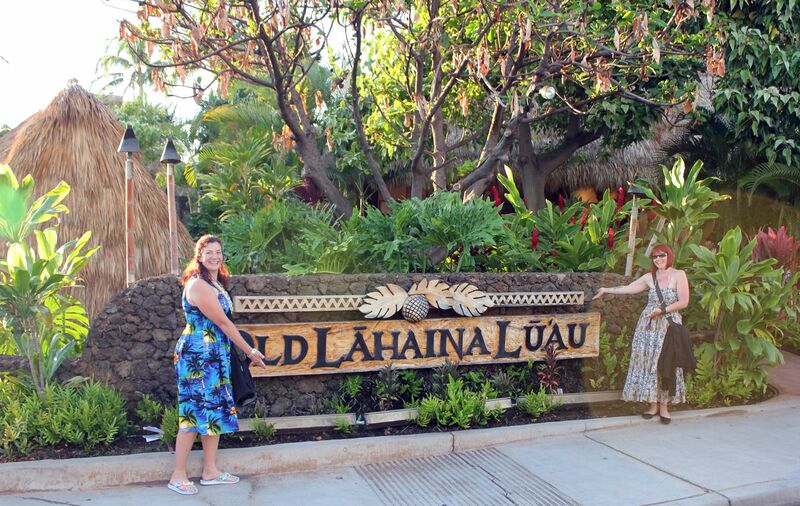 My second luau was the Old Lahaina Luau in the town of Lahaina on Maui. In many ways the format was the same as on Kauai. But there were more than enough differences to keep things fresh. 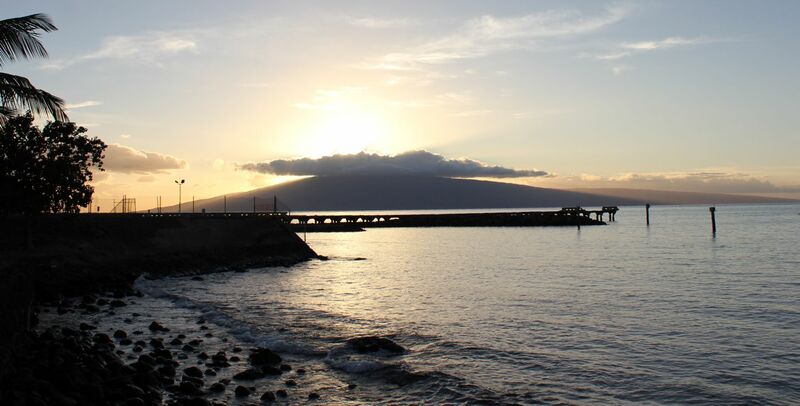 The first difference was the setting, since the Old Lahaina Luau is located right on the beach, with a beautiful view across to the island of Lanai (the only one of the six main Hawaiian islands open to tourists that I didn’t get to visit). 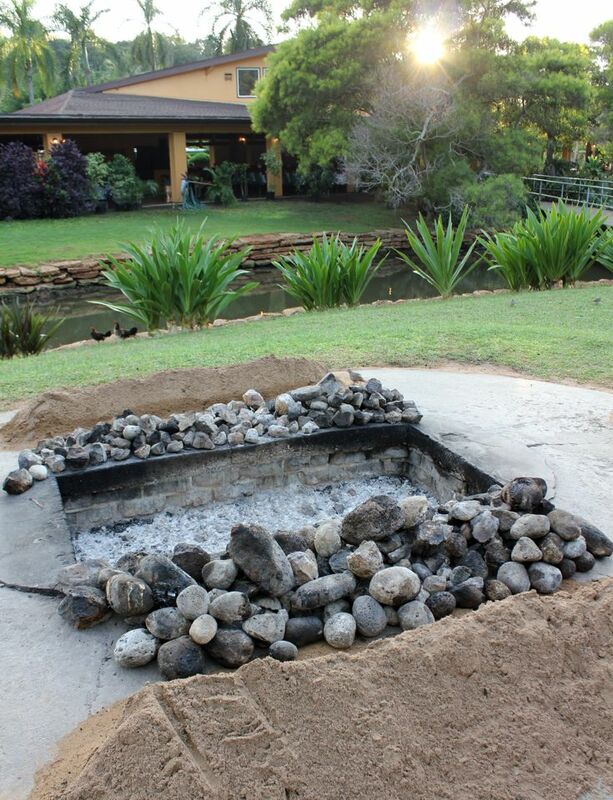 The grounds also have a different feel, styled as they are to resemble a Polynesian village. Just to prove I was there too, really! Our seating arrangements also differed from my first luau, in that we sat cross-legged on the floor, in the traditional Hawaiian way. (That’s to say, the human guests at our table sat cross-legged on the floor. Being only 3½ inches tall, I sat on the table itself, as usual!) In addition, the dinning area was arranged around the circular stage, so that the show began as you were still enjoying seconds! 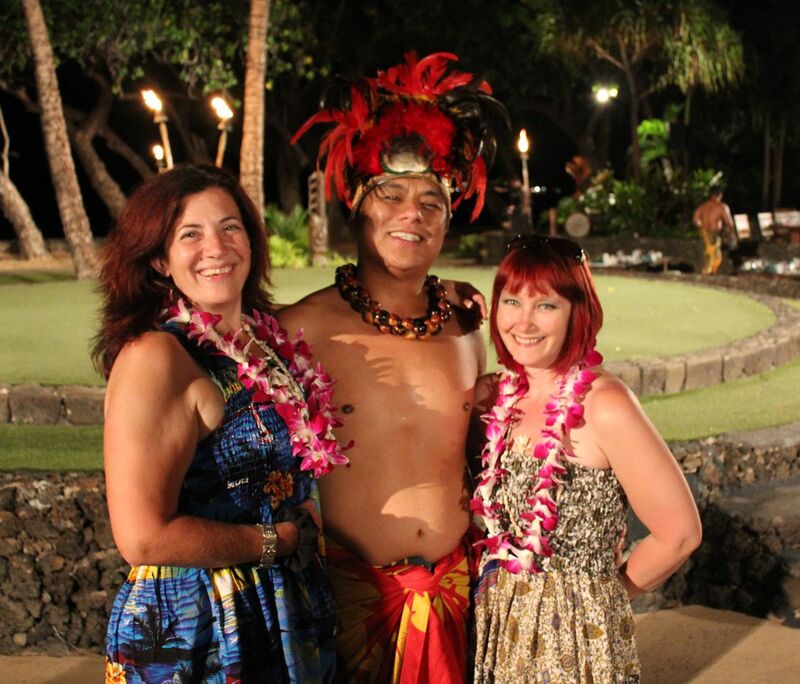 We were all – especially Sue – really looking forward to experiencing a customary Hawaiian luau, and we weren’t disappointed. 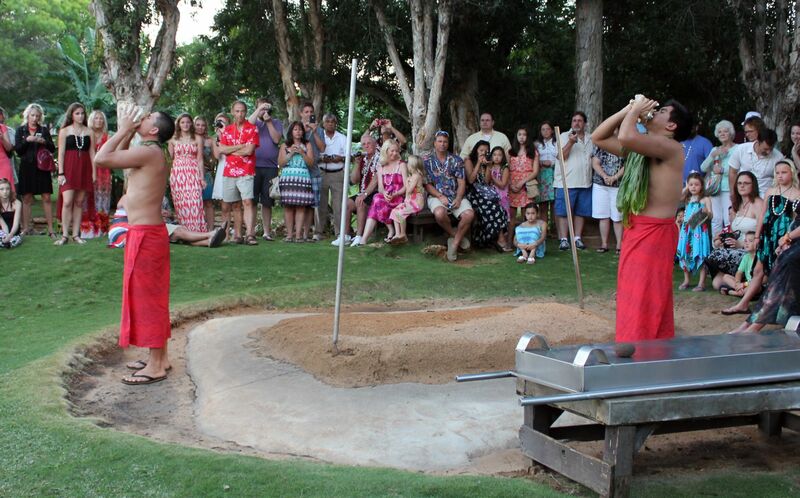 I for one would return to the Smith Family Garden Luau or the Old Lahaina Luau any day! Just thinking about, I can almost smell the pork roasting. The man of the hour, our server (and drummer), Spencer! 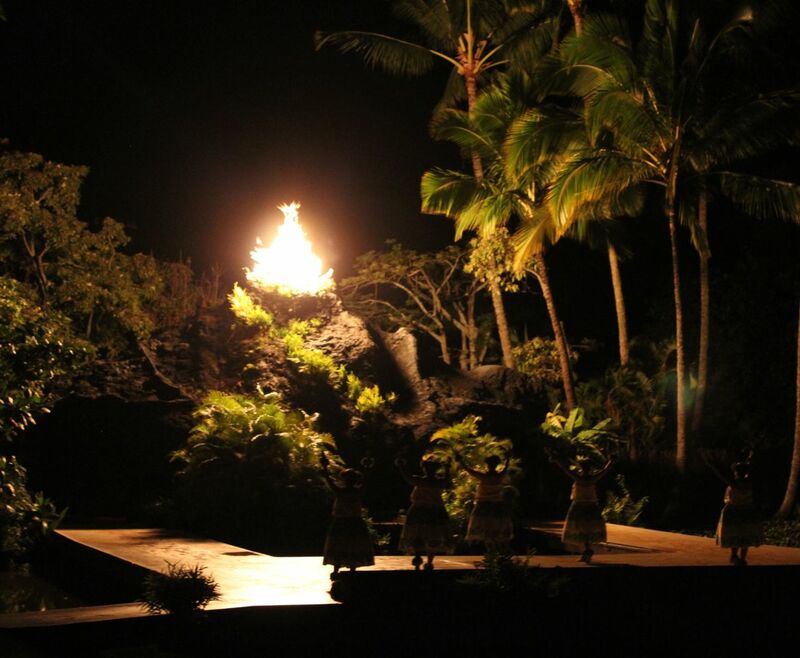 Have you ever been to a luau? Why not share your experiences, and then sign up to follow my continuing Journeys here at Jaspa’s Journal, or through my website, Facebook, Twitter and Instagram? 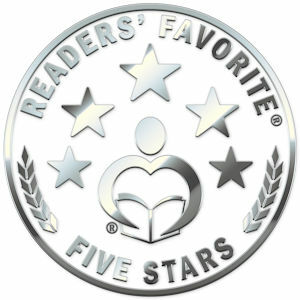 This entry was posted in Adventure, History, Jaspa's Journey, Review, Travel, USA and tagged Adventure, Adventure books, Children's books, Children's literature, friends, giraffe, Hawaii, hula, imu, Jaspa, Jaspa's Journey, Jaspa's Waterloo, Kauai, Lahaina, Lanai, Maui, Old Lahaina Luau, poi, Smith Family Garden Luau, Smith’s Tropical Paradise, sunset, The Great Migration, The Pride of London, travel, travel books. Bookmark the permalink. Beautiful photos. We probably won’t return to the islands until fall, and that seems like such a long time away!